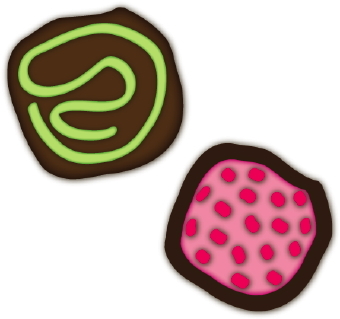 Clip art of two chocolate squares with pink and green frosting and sprinkles. Clip art of a scoop of vanilla ice cream with chocolate sprinkles on a cone. 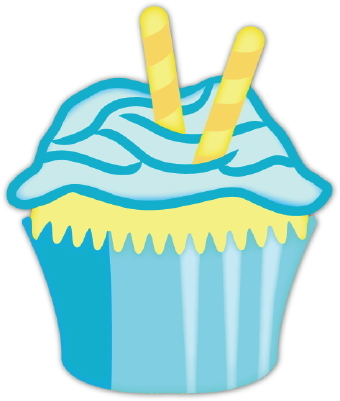 Clip art of a wrapped vanilla cupcake with blue frosting and two yellow candy sticks. 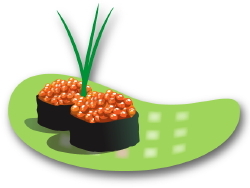 Clip art of a sushi on a green tray. 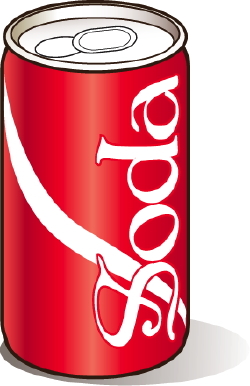 Clip art of a red can of cola with the word “soda” written in white letters. 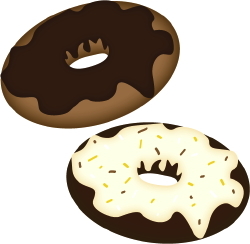 Clip art of two chocolate doughnuts with white frosting and sprinkles. 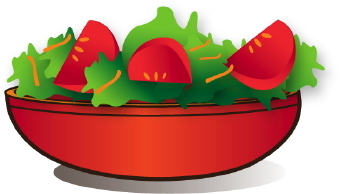 Clip art of a bowl of salad with green lettuce leaves and red tomatoes. 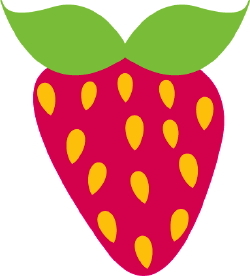 Clip art of a ripe, red strawberry. 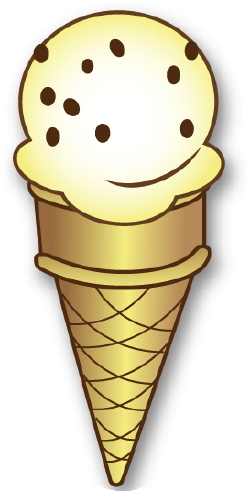 Clip art of a piece of pizza with cheese and pepperoni. 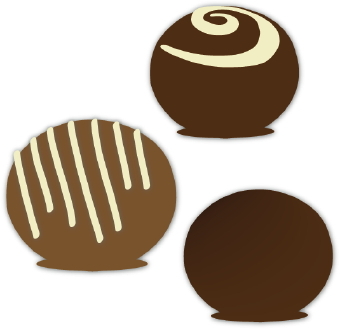 Clip art of a three chocolate bon bons with white frosting. Clip art of a shiny red lollipop on a white stick. 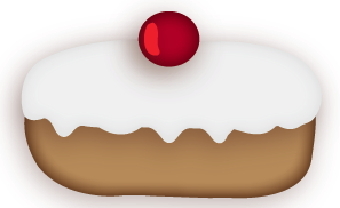 Clip art of a doughnut with white frosting and a cherry on top. 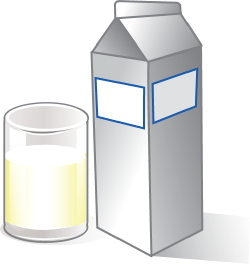 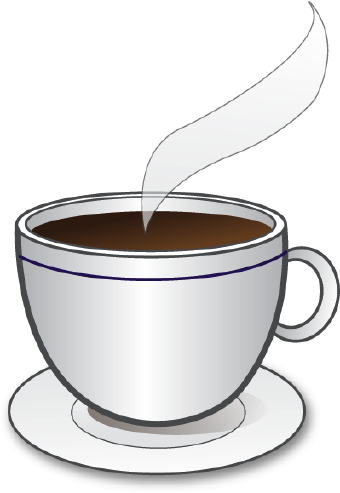 Clip art of a milk carton and a glass of milk. 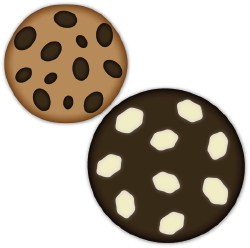 Clip art of two chocolate chip cookies.